We are studying 3D visualization and transformation in the context of the geosciences. The ability to mentally penetrate the interior of an object and visualize objects in 3D (is) key to success in the geosciences. Yet these are very difficult skills for geoscience students to master. We have several approaches aimed at improving these mental processes. 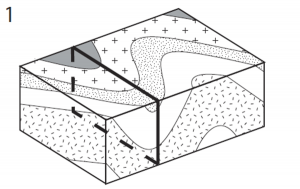 Geologic Block Cross-Sectioning Test (GBCS). Preliminary results have suggested that, while spatial thinking skills contribute to performance on all geologic block item types, working memory only contributes to a subset. This indicates that spatial thinking skills and working memory capacity may impact penetrative thinking in different ways. We are studying penetrative thinking as it relates to geoscience education. 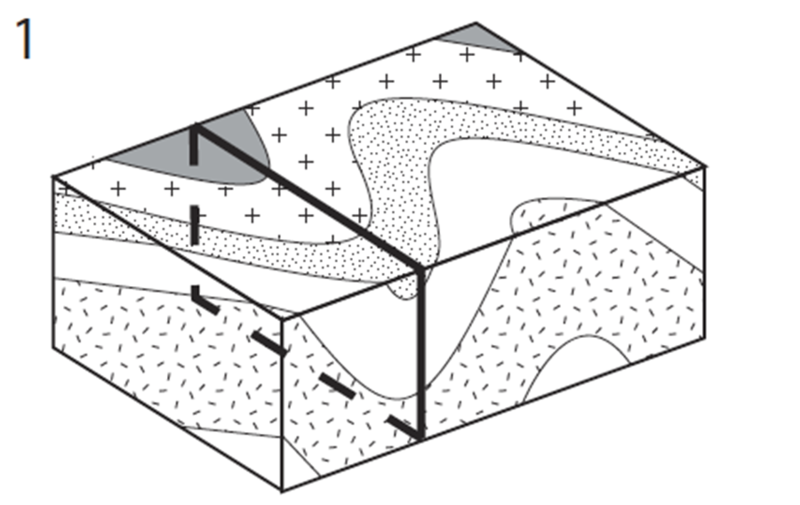 The ability to mentally penetrate the interior of an object is key to success in the geosciences yet it is a very difficult skill for students to master. We have several approaches aimed at improving penetrative thinking. We have developed a measure of penetrative thinking (i.e., 3D visualization and transformation) called the Geo Block Test. This test requires students to incorporate information from multiple faces to penetrate or reason about the likely interior of the object. We are currently using this test as our measure of penetrative thinking.